Sandy (Sandra Brimelow) has been at it again .. scrapping for challenges that is! 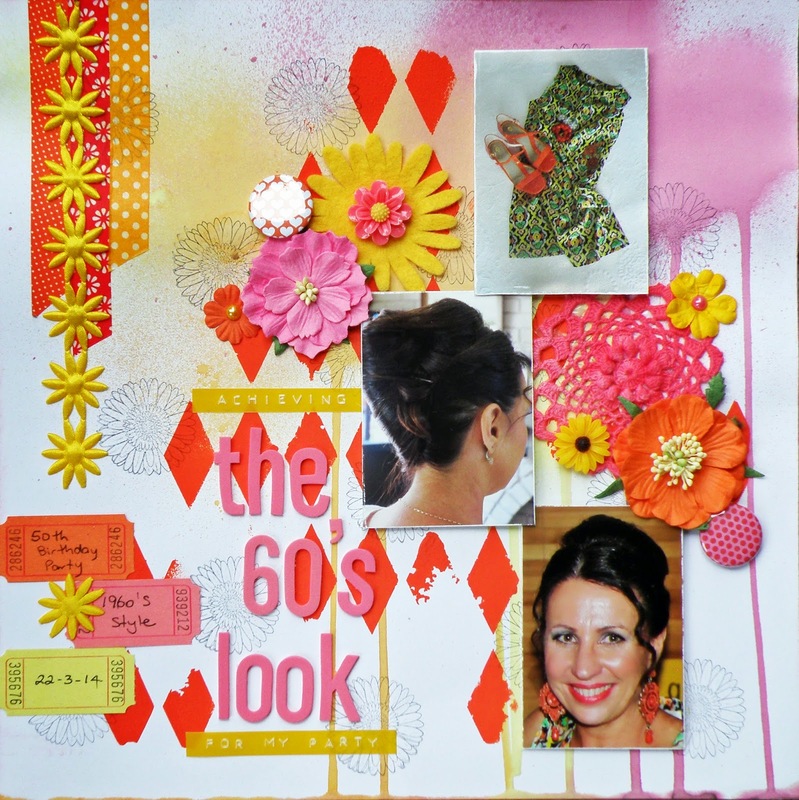 This is Sandy's interpretation of the current Inspiration Board challenge over at D-lish Scraps. 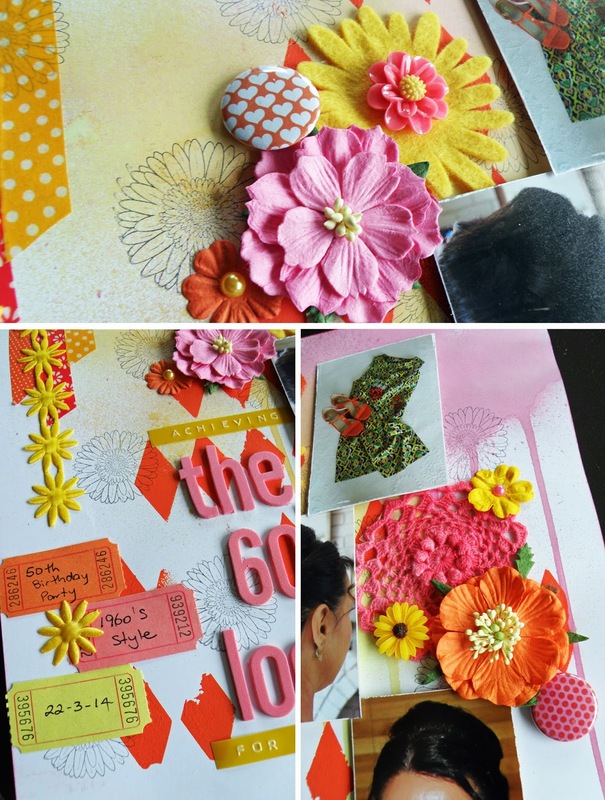 Each month D-lish Scraps releases a Just Add Paper Kit to co-ordinate with the Inspiration Board challenge however, although they're always beautiful and such exceptionally good value, they're not a compulsory requirement for creating your challenge entry. If you'd like to give this challenge a go .. there's still a few days before the end of the month .. then you can find all the details HERE. Good luck! PS: I attended Sandy's 50th birthday party last weekend and can I just say, she really pulled off the 1960s look brilliantly!!!! Gorgeous page Sandy. I love your background work. Thanks for joining in at D-Lish Scraps. 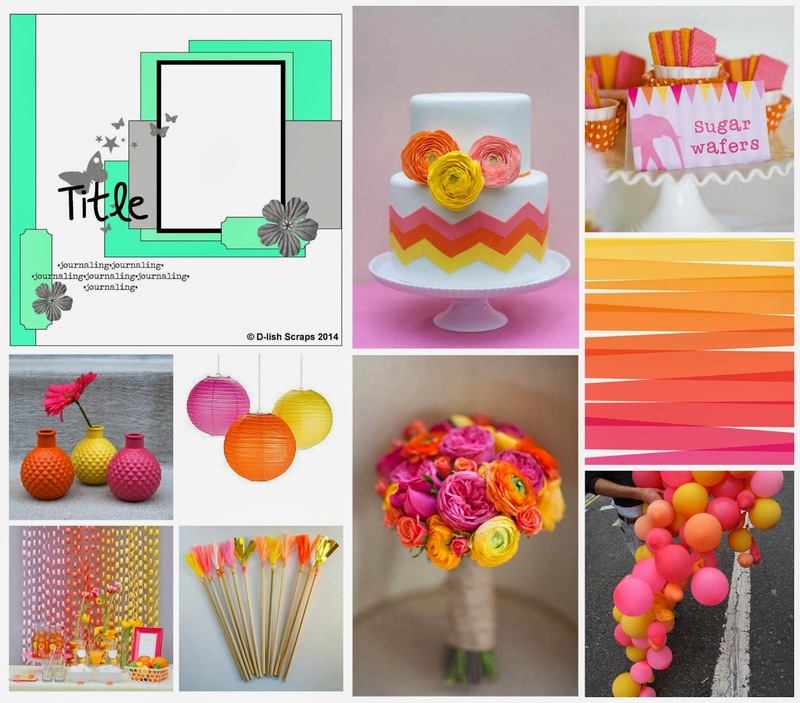 Wow Sandy, I love what you've done with the mood board and all the flowers look gorgeous. Love your layout design here, thanks for joining in Sandy!